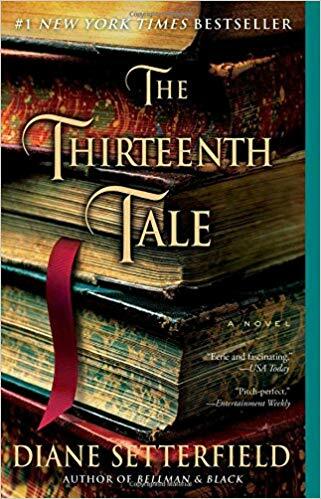 I just read and reviewed The Thirteenth Tale in June, but I loved it so much I wanted to reread it again, already. The main character, Margaret, is summoned by the most famous writer in England, Vida Winter, to write her biography. It’s a mystery to Margaret, and to the reader, why Ms Winter would want a young woman who works in her father’s bookshop to write about her, rather than a well-known professional biographer. But Margaret is intrigued by Ms Winter’s mention of twins, and captivated by the story Ms Winter tells. And so was I. This second time reading the novel, I was able to catch details I missed on the first reading. I noticed before Margaret pointed it out when Ms Winter’s story switched from third-person to first-person narration. Knowing more about Margaret’s family secret also helped me pick up on important clues more quickly. I found myself frequently wondering when exactly the story was set. It’s a gothic novel, so it has a vaguely nineteenth century feel. People send each other real letters. Margaret travels by train, but Ms Winter’s doctor arrives by car. Margaret’s clothes (a skirt and cardigan) don’t say much about the time period. I think I liked this ambiguity, because it allowed The Thirteenth Tale to adopt the mood of some of the gothic novels (especially Jane Eyre) mentioned and used as symbols and clues. I also found that this second reading allowed me to focus more on the characters, which, after all, are what I care about most. My favorite character is still Aurelius, and when he made his appearance, more than a hundred pages into the book, I was so excited I stayed up and read another chapter, though I had been intending to turn out the light and go to sleep. As with many intricately layered novels, the plot was easier to untangle the second time around, though still tricky enough to have kept me on my toes, surprising me with story elements I’d forgotten. This novel, which I really do recommend to everyone, reminds me of a quilt. Disparate stories are woven together in patterns that create one large story enhanced by smaller parts.